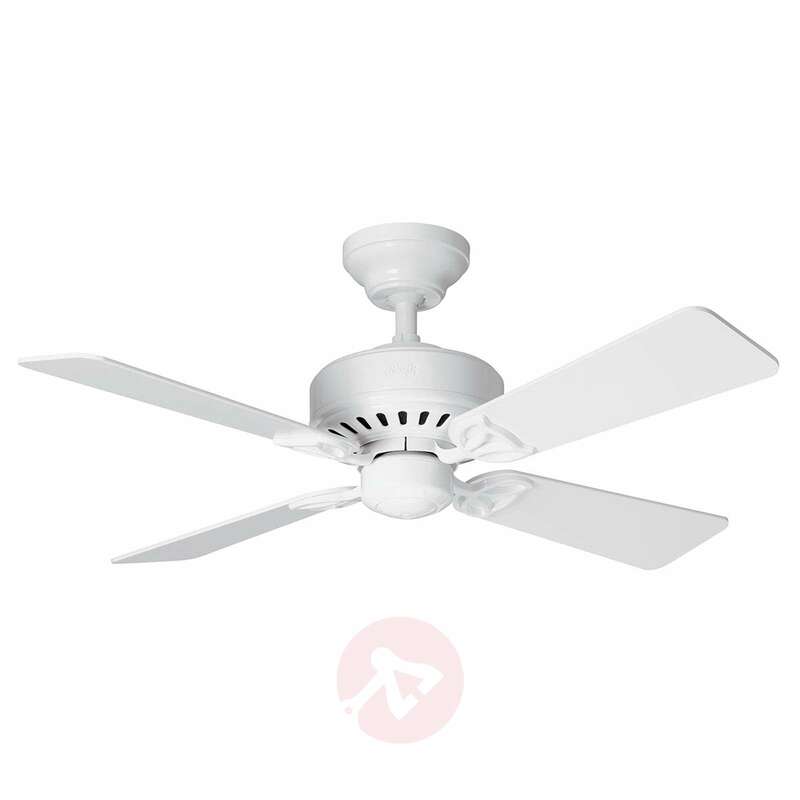 The ceiling fan Bayport, which has an inconspicuous design and a patented Whisperwind® motor, is equipped with four wooden reversible blades. On one side, they are painted a clear white colour; on the other side, they have a light oak design. This makes it a particularly timeless model which can be integrated into a number of interior design styles. 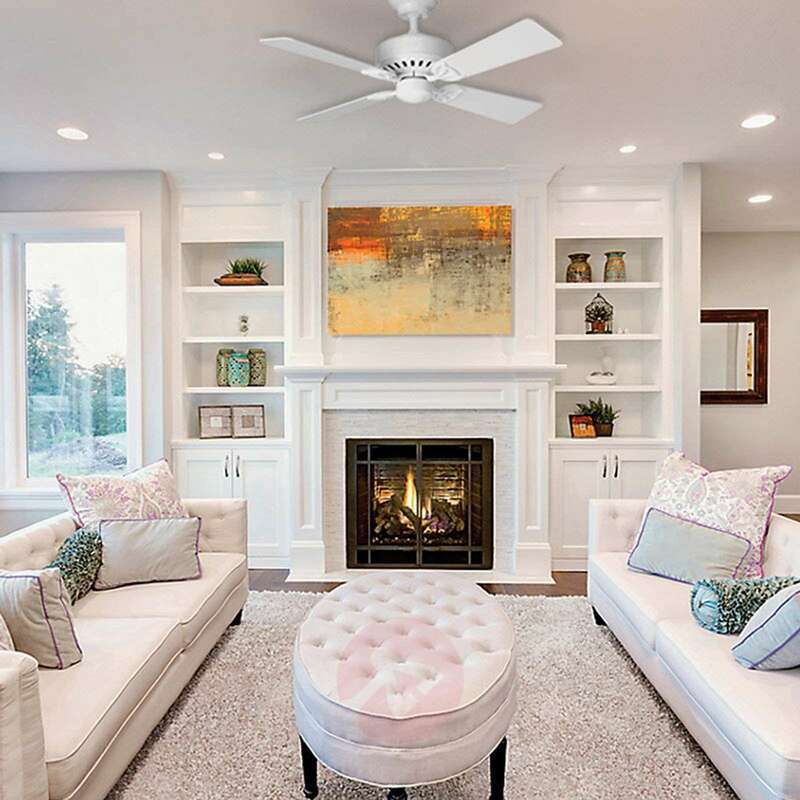 Equipped with summer and winter mode: a sliding switch can be used to set the rotational direction, providing the room with a pleasant coolness in the summer and an efficient heat circulation in the winter. A pull switch can be used to set the three speed levels. 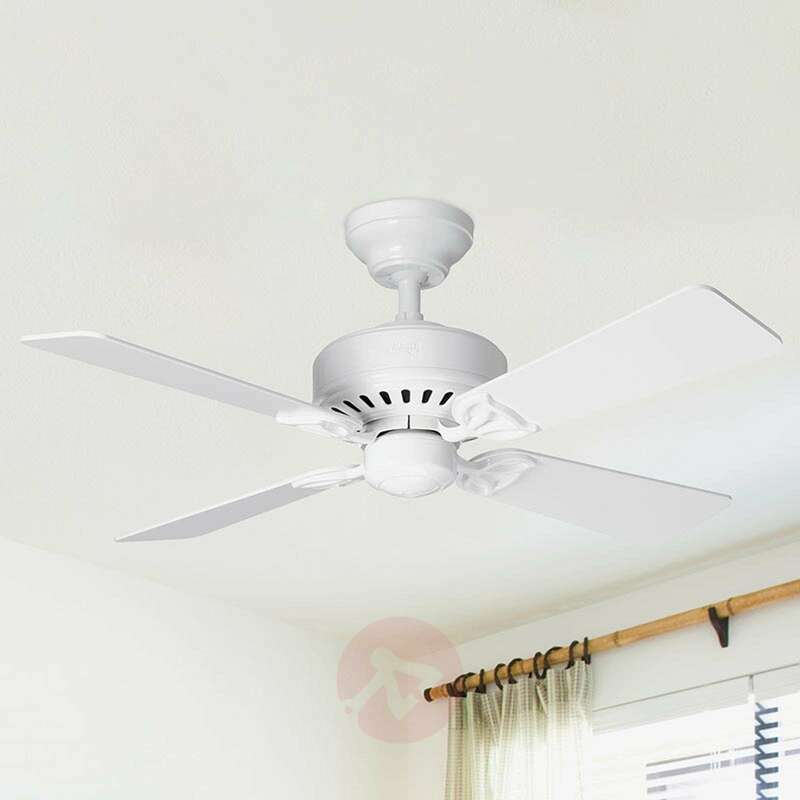 Alternatively, the ceiling fan Bayport can be upgraded with a remote control or a wall switch. These are available as accessories. 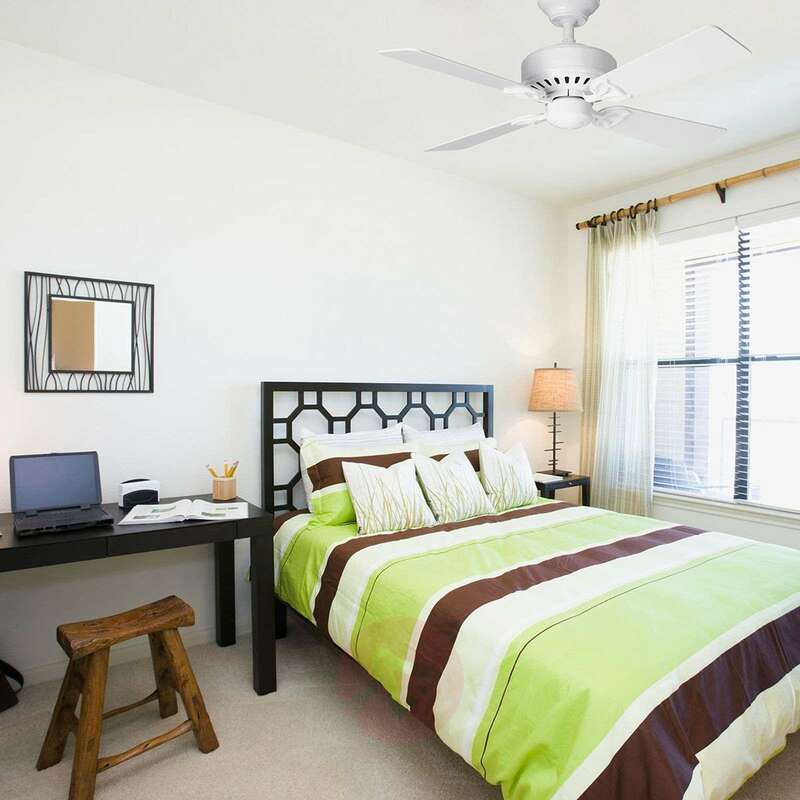 Due to its completely quiet operation, the ceiling fan Bayport is particular suitable for noise-sensitive areas, such as the bedroom. 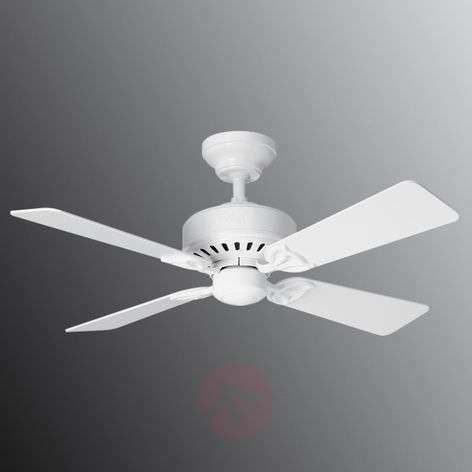 Can also be installed on low ceilings or sloping ceilings. This model can also be retrofitted with lighting at any time. Suitable models are available as accessories. Thank you for your enquiry. Kindly note that the remote control and wall switch will be excluded and can be purchased as a separate item. Please have a look at item numbers 4545004 / 4545006. We do ship to Guernsey, with regards to the VAT exemption, please contact our customer service who will be able to assist you.